I set sail on a Saturday with my friend, Teresa, and her mom, Karen. 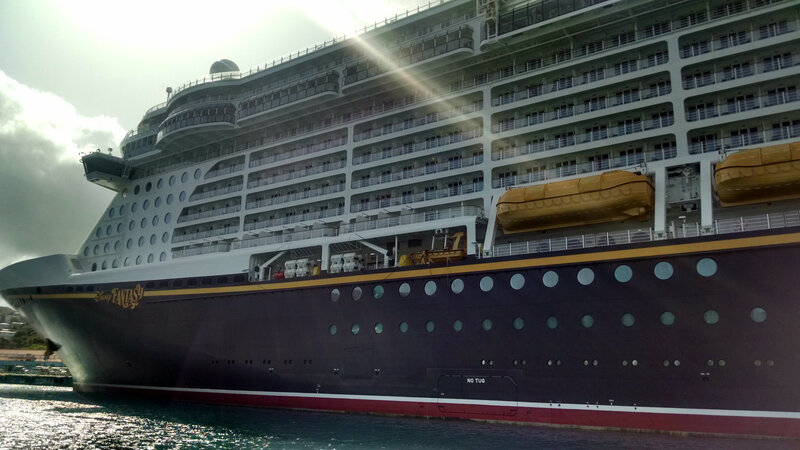 Our ship departed from the lovely Disney Cruise Terminal in Port Canaveral, Florida and we were some of the first people to board. And what does any decent person do as soon as they board a cruise ship? That’s right, find food. 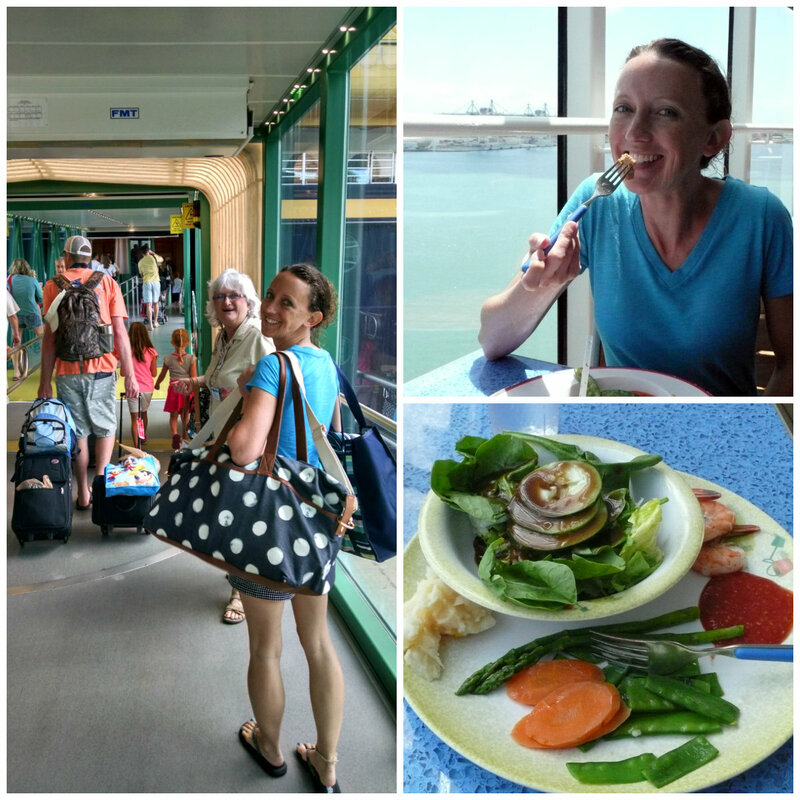 Let’s just be honest for a minute – I’m fairly certain that 95% of the people who go on cruises are basing their vacation choice on the fact that they will get to indulge in unlimited food-eating at all times of the day. Room service? Check. Breakfast buffet? Check. Mid-morning hamburger? Check. Lunch buffet? Check. Mid-afternoon ice cream? Check. Late afternoon pizza? Check. Gourmet dinner? Check. Midnight dessert buffet? Check. Room service Round 2? Check. Our first afternoon was spent exploring the ship, taking a tour of Senses Spa (sign me up for everything!) 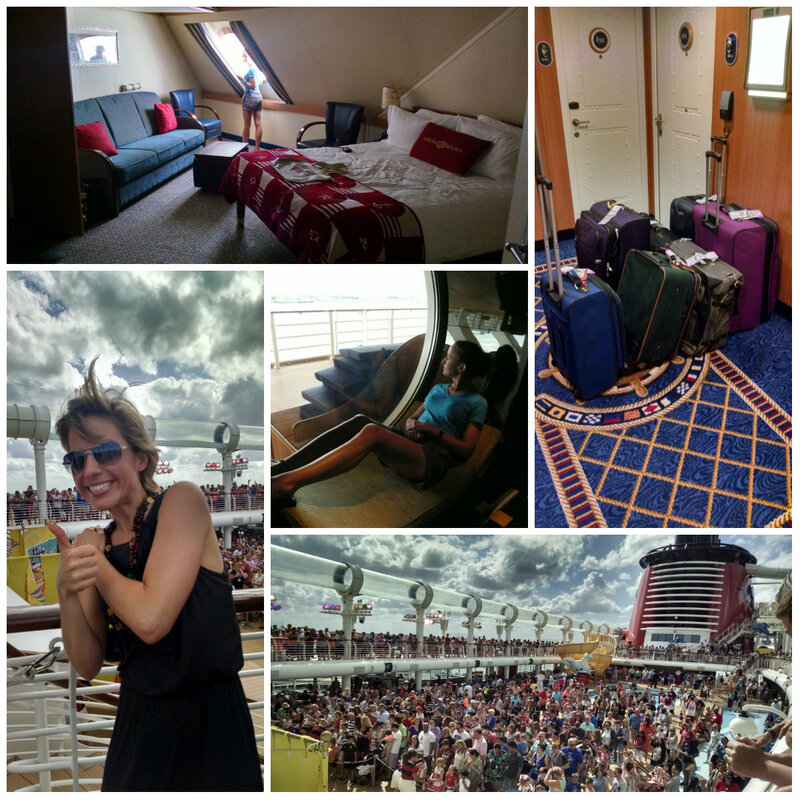 (in my dreams…), taking a mini-tour of the ship, unpacking and settling into our stateroom, participating in the mandatory emergency drill and attending the Sail-Away Celebration on the pool deck. That evening we readied ourselves for our first dinner at sea. All Disney Cruise ships have three restaurants that passengers rotate between throughout the cruise. There are also a couple of adult-only restaurants that charge an additional fee. 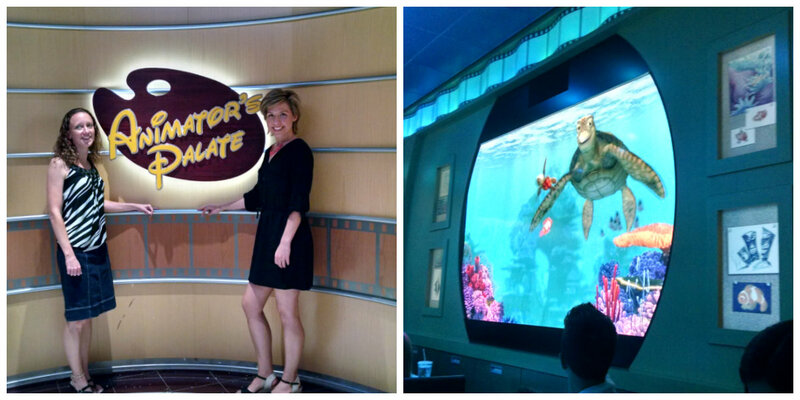 For our first night, we dined at Animator’s Palate which is a restaurant featured on all four Disney ships. This is a very fun restaurant that I’m sure ranks highest in entertainment for kids. But I enjoyed it as well – mostly because of our second dining experience there. We dined each evening with some friends of ours who were enjoying a family cruise together. Each of our meals were filled with much fun and laughter! Our server, Nicola, (who was awesome) steered me away from my initial vegetarian choice saying it was his least favorite dish on the menu. Okay. He suggested a different vegetarian option which didn’t sound to my liking. So, I ordered the beef tenderloin. Yup. 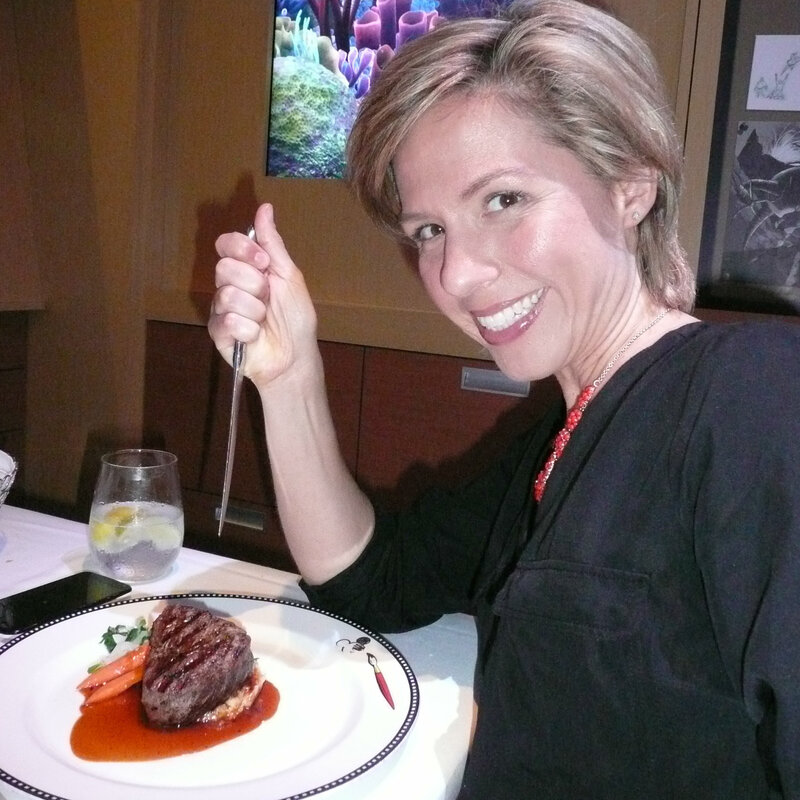 And it ended up being one of the best entrees I ate on the entire cruise. 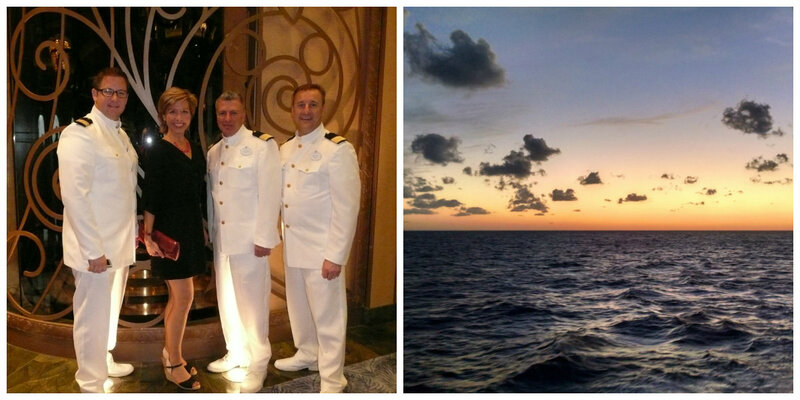 Dinner was followed by a brief photo op with some of the ship’s officers, and then an absolutely gorgeous sunset. This is my third Disney cruise and one of the things I love about this cruise line is the entertainment. I mean, Disney pretty much owns that word and they do a fantastic job with the shows they produce for cruise-goers. This first night was actually probably my least favorite production as it was more of a “Welcome! Here is what’s in store for you this week!” kind of a deal. All three of us had been super tired all day so we decided to turn in right after the show so we would be well-rested and ready to go for our first day at sea!